Another great post by Katherine O’Brien on a celebrity who died of mbc. Marcia Strassman, the actress best known for her roles in “Welcome Back Kotter” and “Honey, I Shrunk the Kids” died from metastatic breast cancer this month at age 66. My condolences to her friends and family. 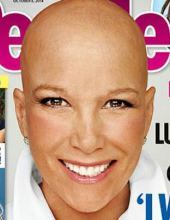 Strassman was something of a hero to me because she was the only famous living person I knew with metastatic breast cancer. I have been on the same drugs as Strassman, so of course I took inspiration that she lived with the disease for seven years. Research: More funds need to be directed to MBC-focused research. $1.0B invested since 2000 in research grants specifically focused on MBC was identified, or only 7%, of the $15-billion invested in breast cancer research grants included in our study. The majority focused on understanding the key processes of metastasis. Clinical trials: 169 clinical trials testing ‘targeted’ therapies for MBC were identified, addressing 7 common traits shared by all cancers. Opportunities exist to reduce barriers to patient participation in trials and to update the design of trials to address endpoints important for MBC. Quality of Life: More needs to be done to meet the needs of patients and families. Patients with metastatic breast cancer have unique emotional, physical and psychosocial needs, many of which are unmet by health care providers and support organizations. There is limited quality of life research conducted on the needs of minority or poor populations living with MBC. Patient education and support services: MBC Alliance members provide significant support and information to people living with MBC. However, opportunities exist to make information about MBC across agencies more consistent and easily understood, to develop metrics that measure the reach and impact of programs and services, and to reach into underserved communities regardless of socioeconomic status, race, gender, culture or geography. Epidemiology: Improving care requires documenting the number of MBC patients, how long they live, and how well they respond to treatments. Population-based data are needed on early breast cancer patients who experience a recurrence after early stage diagnosis. In the course of my professional career as a journalist covering the printing industry, I must have attended hundreds of press conferences. It is my job–I routinely cover such events objectively and impersonally. Of course this press conference was very different. As I sat in the audience, I had to stop myself several time from yelling out such things as “Amen!” or “Tell it!” or “Thank you!” But I gave silent voice to all of those comments. I experienced a wide range of emotions–I felt a surge of pride as Shirley Mertz stepped up to the microphone to chair the event. MBCN is a founding member of the MBC Alliance–and Shirley has worked so hard to make this happen, as has Ginny Knackmuhs, our fellow board member and Shirley’s fellow steering committee member. I also had a feeling of disbelief–after years, was this finally happening? I am a relative newcomer to the cause–I have only been here five years. But when MBCN was founded 10 years ago, there was no support–let alone acknowledgement–of people living with MBC. On Monday, we all thought of MBCN’s late former president, Ellen Moskowitz. “What would Ellen have said?” we all wondered. Dr. Ruth Oratz and Dr. Robert Schneider, both of the New York University School of Medicine, offered their views of the report. Dr Oratz noted that the quality of life chart showed that needs for people with MBC have not changed since 2006. She praised the multidisciplinary effort, noting that it covered all modalities. Dr. Schneider called the report “remarkable.” “It’s an extraordinary report, one that quantifies what we’ve all suspected,” he said. “It gives us momentum for moving forward.” He went on to say that although the Alliance research pegs the amount of MBC-focused research at 7%, he puts it closer to 3%. “There’s a lot of largely tissue culture work,” he said. “That does not advance [our knowledge]; almost none of that is translational research.” He called for a clearinghouse of mouse models to be created, for rare diseases such as inflammatory breast cancer to be studied and for academia and industry to step up to overcome NIH funding cuts as well as the agency’s reluctance to support research that does not fit within certain narrow confines. Metastatic breast cancer has no celebrity spokesperson. At the Alliance press conference we met an excellent candidate for the job: NFL player DeAngelo Williams. Williams, a running back with the Carolina Panthers lost his mom to MBC this past May. Although DeAngelo also has lost four aunts to breast cancer, it wasn’t until recently that he heard the term metastatic breast cancer. “We gravitate toward what effects us,” DeAngelo said, explaining why he contacted the Alliance. Finally, I felt a sense of urgency. As Shirley Mertz said, our lives depend on what the Alliance does. I am both sobered to think of the work to come and excited to help do it. The full landscape report can be found at http://www.avonfoundation.org/assets/images/2014/mbca_full-report.pdf. Reblogging this post from Katherine O’Brien’s I hate breastcancer blog: Ginny D: Being More and Doing Less. I promised my mother I would not do anything edgy before October breast cancer awareness month (ugh), but standing in line at Wegmans yesterday I knew there would be no holding back once I got home. And then I would go on to educate her on cancer that stays in the breast versus cancer that leaves it and what a disservice it is to women and families who deal with the diagnosis of terminal breast cancer and how they might worry that they had not fought as hard as say, Joan Lunden, and that’s why they were dying. Oh, I’ve gone and gotten myself started! October is a rough month for women who are living and dying with metastatic breast cancer. I have so much I want to write about! Stay tuned. You are currently browsing the MBCNbuzz blog archives for October, 2014.